Absorbine CoolDown™ is a new, all-natural, herbal equine body wash that gently cools and refreshes whilst soothing tired muscles. 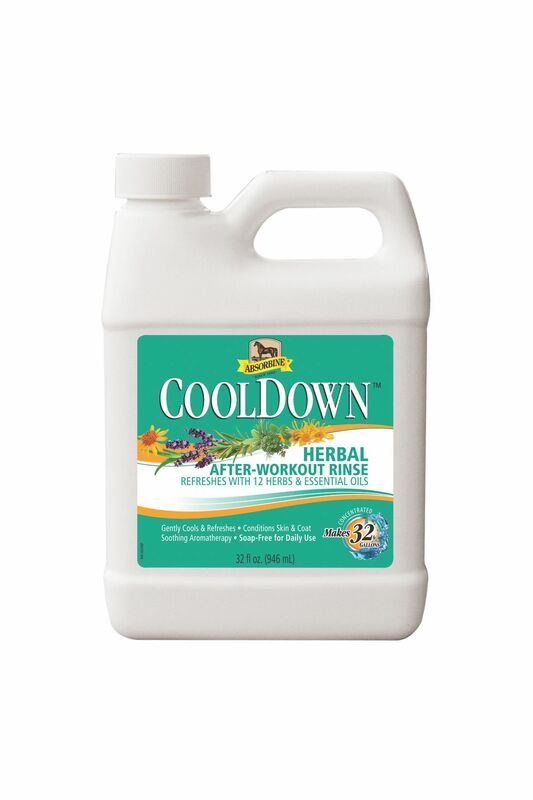 CoolDown also conditions the skin and coat, ensuring cleanliness without stripping out essential oils, making it ideal for daily use. 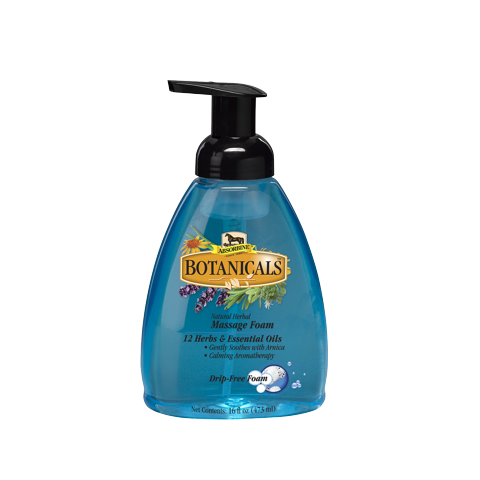 The unique formula includes rosemary oil, peppermint oil, lavender oil, aloe vera juice, arnica extract and sassafras oil. The fresh, aromatherapy fragrance of CoolDown is soothing to both equines and humans. Simply add CoolDown to water and wash the horse down with the solution. As CoolDown is soap free there is no need to rinse it off. One 950ml bottle of CoolDown makes 150 litres of solution.